About Dominion Lending Centres Dominion Lending Centres is Canada?s national mortgage and leasing company with more than 2,300 members offering free expert advice across Canada ? taking the hassles out of the mortgage process and simplifying your life. With access to more than 230 lending institutions, including big banks, credit unions and trust companies, our licensed team of mortgage professionals is familiar with a vast array of available mortgage products ? ranging from first-time homebuyer programs to financing for the self-employed to financing for those with credit blemishes. And, best of all, Dominion Lending Centres? mortgage professionals work for you ? not the lenders ? to ensure you receive the best rates and products available in today?s marketplace. Whether you?re looking to purchase your very first home or upgrade to a new home, renew your existing mortgage, refinance your mortgage to free up some equity, purchase investment properties or vacation homes, or lease business-related equipment, Dominion Lending Centres has a variety of products available to meet your unique needs. Our mortgage professionals are experts in their field and many are ranked among the best nationally. Launched in January 2006, we were named Best Newcomer (Mortgage Brokerage Firm) at the prestigious CMP Canadian Mortgage Awards 2008 ? the Oscars of the mortgage brokering industry. At the 2009 CMAs, we received the Best Branding Award, and again in 2010, with the addition of the prestigious title of Mortgage Brokerage of the Year and Best Advertising. At the 2011 Awards, we again walked award with Best Advertising, and in 2012 we were honoured with: National Broker Network of the Year; Best Advertising; and Best Branding. Dominion Lending Centres is also honoured to be ranked 32nd on the 2012 annual PROFIT 200 ranking of Canada?s Fastest-Growing Companies by PROFIT Magazine. Ranking Canada?s Fastest-Growing Companies by five-year revenue growth, the PROFIT 200 profiles the country?s most successful growth companies. PROFIT 200 is Canada?s largest annual celebration of entrepreneurial achievement. In both 2009 and 2010, Dominion Lending Centres also earned spots on the PROFIT HOT 50 List of Canadian Emerging Growth Companies. The PROFIT HOT 50 ranks the top 50 young businesses in Canada by two-year revenue growth. 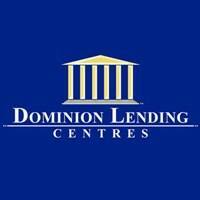 Dominion Lending Centres? mortgage professionals are available anytime, anywhere, evenings and weekends ? and we?ll even come to you!